The San Pedro Tourist Guide Association (SPTCA) announced that elections were held for the organization during its first meeting of the general membership for 2013 which took place on Tuesday February 5th. Re-elected as the association’s President is Phillip “Billy” Leslie. Leslie was elected along with vice President Gilberto Nunez, Secretary Steven Rubio, vice Secretary Emiliano Rivero, Treasurer Everette Anderson, vice Treasurer Roberto Gonzales and Directors Steve Bowen, Omar Arceo and Ruben Trejo. When speaking to the press on Tuesday February 19th, Leslie said that the first thing on their agenda is to call a general membership meeting to draft out new plans for the association. He is hopeful that during that meeting they will be able to look at different projects that the association can do around the community for the next two years. “Currently the association has a position on various committees on the island and it certainly takes up time and keeps us busy. However we also want to look at new fishing sites, clean up campaigns along the beach and we will continue to play a vital role to ensure that the proposed extension of the Hol Chan Marine Reserve (Mexico Rock’s Marine Reserve, Bajos proposed Marine Reserve and Mata/Cayo Frances lagoons) is completed,” said Leslie. He also said that in identifying new fishing sites, the association plans to work closely with businesses such as Captain Shark’s to look at installing more fish aggregating devices (FAD). “We have located two funding agencies but it is not finalized as yet. 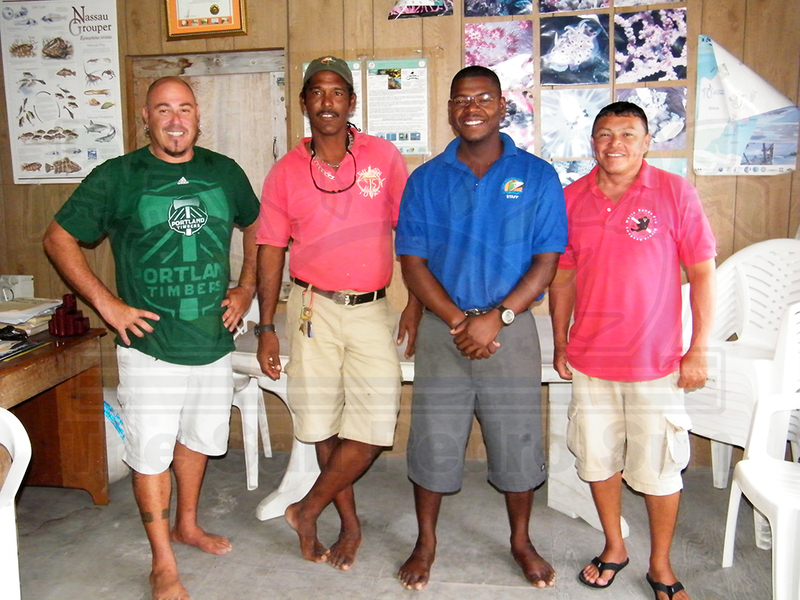 One of those agencies is Belize Coastal Zone Management who assisted us with our fishing training program conducted last year,” Leslie explained. During his previous two-year term, Leslie and his board had promised to identify funding for the acquisition of a patrol vessel that the association could use to help authorities patrol the coast of Ambergris Caye. “We are still on the final stage and we are looking in securing that vessel with the help of the Area Representative and the San Pedro Town Council (SPTC),” stated Leslie who explained that the Belize Tourism Board is in the final stages of acquiring the vessel. Fuel for patrolling will be secured through the SPTC while the SPTGA will be in charge of management and maintenance of the vessel.